Bold florals including anemone and garden roses complemented bountiful foraged evergreens. 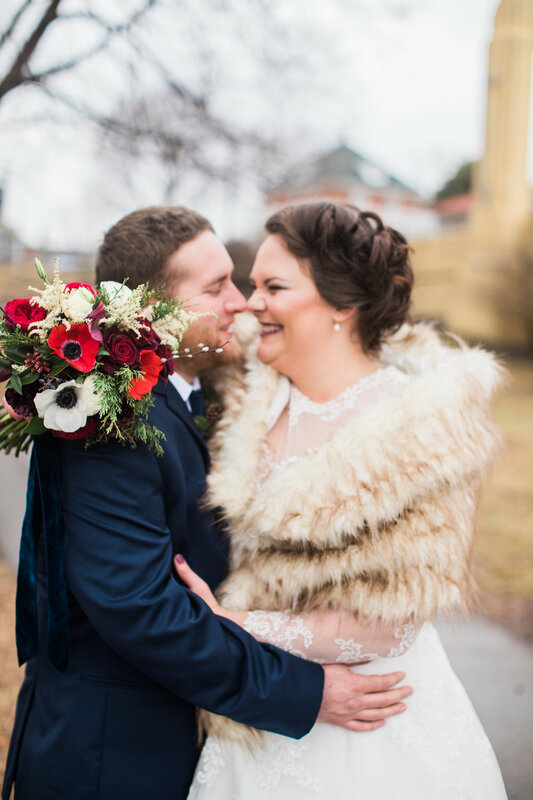 Layers of texture, pine cones, velvet and seasonal privet berry created special details for the bride and groom. Photography: Erika Jo Photography and Film.